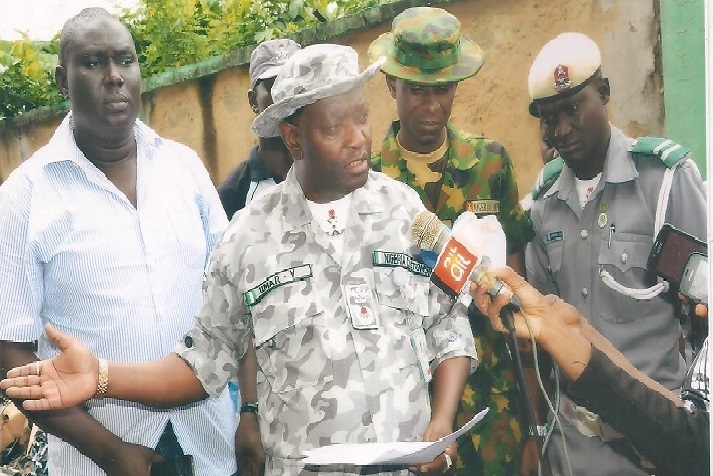 The Western Marine Command of the Nigeria Customs Service on Tuesday vowed to keep up the fight against smuggling of frozen poultry products, especially around Yekeme, near Badagry. Controller in charge of the command, Yusuf Umar, said this while destroying 1,583 cartons of smuggled poultry products in Lagos. 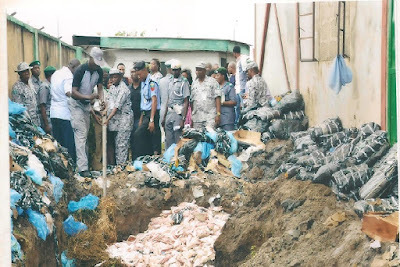 He said the command had seized and destroyed 6,668 cartons of poultry products from July 7 to date when `Operation Hawk Descend’ was established to fight the smuggling of the products. Umar said customs would work to ensure that revenue leakages were plugged, just as it would work to protect the nation’s economy through its services. He warned that smugglers must stop forthwith or be ready to face the wrath of the law. “Those who engage in this act of smuggling of poultry products should desist, henceforth, because there is no hiding place for them as far as we are concerned. “They should know by now that the customs is working with a very much improved intelligence reports and will always track them down. “But then, we also want them to know that the danger of their act is more than they think, considering the effect on the economy. “We should proudly grow and sustain our own poultry industry that can also create a lot of jobs for people,” he said. Umar commended the support offered by the Army Command in Badagry. He said that the Commanding Officer, Col. Isa, sent his officers to the area, making the operation stronger against the smugglers who eventually fled, escape for their lives. The News Agency of Nigeria (NAN) reports that the destruction of the products was witnessed by officials of the National Agency for Food and Drug Administration and Control (NAFDAC). Other witnesses were officers of the Nigeria Police and the Department for State Security (DSS).